The megalithic standing stones, temples and stone heads of the Gods of Uru, stand scattered across the timeless Australian landscape, guarding an hitherto lost past about to be revealed. 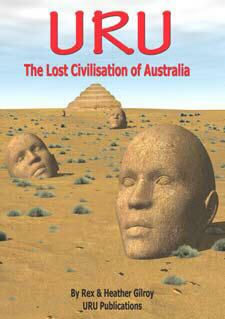 The Lost Civilisation of Uru is THE great mystery of our ancient past. The Gods of Uru once more rise from the earth to demand renewed worship. Aea, Nim, Nif, Ara, I-na, Ga-na, Ura, Aru and many more. Reader, I present to you the Uru. These daring and outspoken researchers also claim that Australia was inhabited by far earlier stone-age races than the Aborigines, and have gathered a mass of evidence to support their claims. This book is affectionately dedicated to my wife, fellow researcher and constant companion in the field HEATHER. This book is also affectionately dedicated to my late father W.F. [Bill] Gilroy [1904-1996] An experienced bushman and gold miner. Although the big gold strike always eluded him, he unearthed the Tarana Skull No 1, a 300,000 year old mineralised fossil, which demonstrates that the first modern humans evolved in Australia. “Gone to the Grand Lodge Above”. This book is also dedicated to The Open-minded, free-thinking visionary, who does not know the meaning of the word “impossible”.The field-working, rugged adventurer who never stops at the foothills, and always wants to see what lies beyond the next mountain. The dedicated individualist who has the courage and fortitude to defend his ideas, regardless of overwhelming opposition. All those who against all reason, dare to dig deeper than anyone before them, in their search for the truth. 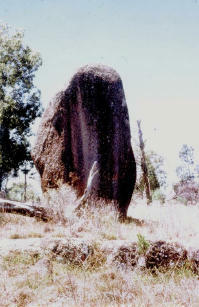 The 5m tall by 10m circumference menhir, erected upon a base of carved granite blocks partly covered in soil, found on a hillside near other megalithic structures of the “Bathurst Stonehenge”, discovered by the Gilroys in September 1974. Photo copyright © Rex Gilroy 2004. The grooves on the menhir are now weathered with age. How long ago did this great stone collapse? Photo copyright © Rex Gilroy 2004. 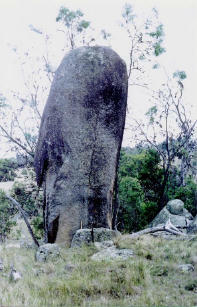 The massive collapsed ‘grand menhir’. Now broken in two, it was, thousands of years ago, an important marker for lining up the sunrise on the Summer Solstice. Heather Gilroy points to deep grooves on the [east] face of the menhir, whose purpose it once was to catch and calculate the receding shadow of the rising sun. Photo copyright © Rex Gilroy 2004. The two large menhirs erected about half-way between the two north-south stone alignments. Spaced about 60m apart on an east-west axis, they weigh about 8 and 10 tonnes [or more] respectively. Photo copyright © Rex Gilroy 2004. 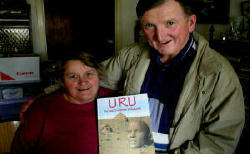 Rex and Heather Gilroy, widely regarded as the foremost authorities on the ‘unknown’ history of Australia, for their dedicated, life-long fascination and research into our ‘hidden’ history; with this book, dare to question the blind dogmas of historical and scientific conformitism, with evidence for which Australian university text books have no answers, concerning evidence that Australia was the very birthplace of civilisation, in the form of an advanced stone-age megalithic culture, created by a mysterious white-skinned race that evolved on this continent, the Uru. In the course of this book they will present the results of a lifetime’s field research - and the photographic evidence speaks for itself - which they argues, supports his claim that Uru, the lost civilisation of Australia, was the origin of the Atlantis legend of Plato. They believe that their discovery of this hitherto unknown ‘mother’ civilisation is his crowning achievement. 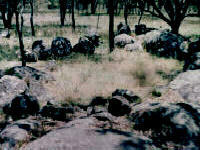 Example: Chapter One - “Footprints from the Dreamtime”. Introduction - “Not from Atlantis”. Chapter One - “Footprints from the Dreamtime”. Chapter Three - “Suburban Atlantis Pyramid-builders of Sydney’s West”. Chapter Four - “Temples in the Clouds”. Chapter Five - “The Great Serpent”. Chapter Six - “Priestess of the Sun”. 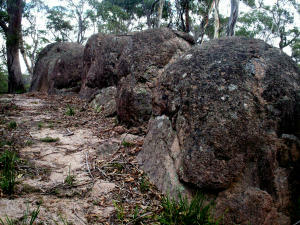 Chapter Seven - “The Bathurst Stonehenge”. Chapter Eight - “Ancient Astronomers of New England”. Chapter Nine - “The God-Kings of Uru”. Chapter Ten - “Altars of the Phallic Gods”. Chapter Eleven - “Flightpaths of the Gods - the Birdman Mystery”. Chapter Twelve - “Gods from the South – Culture founders of the Stone-Age”. Chapter Thirteen - “Australantis – Sunken Cities of the Coral Sea”. Chapter Fourteen - “Pyramid in the Forest”. Chapter Fifteen - “Lost Science of the Uru”. Chapter Sixteen - “Vanishing Gods”. Chapter Seventeen - “The Great Wave”. “Australantis Rising - Return of the Lost Gods”. These are heresies guaranteed to infuriate conservative university-based historians and archaeologists. However, I have not written this book for their approval. Rather I prefer to present my evidence to the average Australian reader so that they may draw their own conclusions. It may be difficult for many fellow amateur researchers of our ancient past to accept the proposition that Australia was once the home of an advanced stone-age civilisation, the ‘mother’ civilisation itself. The day Atlantis sank a legend was born that has fascinated mankind for over 2,000 years, ever since the Greek philosopher, Plato [427-347 BC] wrote his vivid description of the island continent in his ‘Critias’. The account is too well known and so often repeated in every book on the subject to rate repeating again. What I offer instead is an entirely new aspect, ven though it may not find favour with traditionalists, for I intend to demonstrate that the Atlantis legend is far older than the age of ancient Greece, or the Egyptians from whom it was transmitted, for they in turn had acquired it from earlier Sumerian traditions of a lost paradise, the land of origin of all mankind where the first men and women once lived in a state of bliss. I will show that these traditions of the ‘lost paradise’ were originally handed down to the ancient Mesopotamians by an even earlier people, the megalithic race, who once spread their ‘stonehenge’ culture across Asia and the European continent. The origins and identity of this people has always mystified conservative scholars. However, what I am about to present is a mass of archaeological evidence, which I believe to be the earliest traces of this race, in the form of the lost civilisation of Australia; the ‘mother’ civilisation from which all others would eventually evolve. The reader must therefore be prepared for many startling revelations hitherto undreamt of; revelations which place Australia at the very forefront of world history. As the discoverer of this civilisation I stand by the evidence I am about to present. It is the results of over forty years’ field investigations and intensive research into the books of ancient writers, comparative mythology and epigraphy. 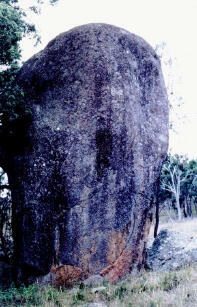 My discovery of this people’s identity did not come easily, but was revealed to me in a gradual process, beginning with my initial discoveries of serpent and eagle-shaped stone altars on the Blue Mountains west of Sydney from the mid-1960’s onwards, culminating in the discovery of mystery rock inscriptions near Katoomba in 1974. My earliest attempts at translating this script that year revealed a name, ‘Uru’, and as further examples of rock script containing this name gradually came to light I realised I had discovered the name of this people and their highly advanced stone-age civilisation. I initially revealed the existence of the Lost Civilisation of Uru in my first book, ‘Mysterious Australia’ [NEXUS Publishing 1995], although at this time I chose not to reveal the name of this ‘mother’ civilisation, for I intended to surprise my readers and reveal it at greater length in my next book, ‘Pyramids in the Pacific’ [URU Publications 2000]. Now, with “Uru - The Lost Civilisation of Australia”, I have finally set out in full, the results of my many years of painstaking research into this hitherto unknown ‘Australantis’. In the forthcoming chapters the reader will be taken on a journey back to the ‘unknown’ Stone Age past of this continent, where the origins of the mysterious, mystical Uruans will be revealed. 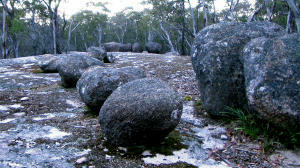 We shall follow this remarkable people through time as they evolved their mighty megalithic culture with its associated advanced astronomical and agricultural science, which also aided them in their maritime expeditions beyond Australia. Among other revelations certain to surprise many readers is their development of a written script many thousands of years before the rise of Sumer, where writing was traditionally invented around the 15th century BC; and that the Uru invented the first crude gliders and hot air balloons with which they took to the air, giving birth to the original ‘Birdman’ cult, which they would in time spread beyond Australia.